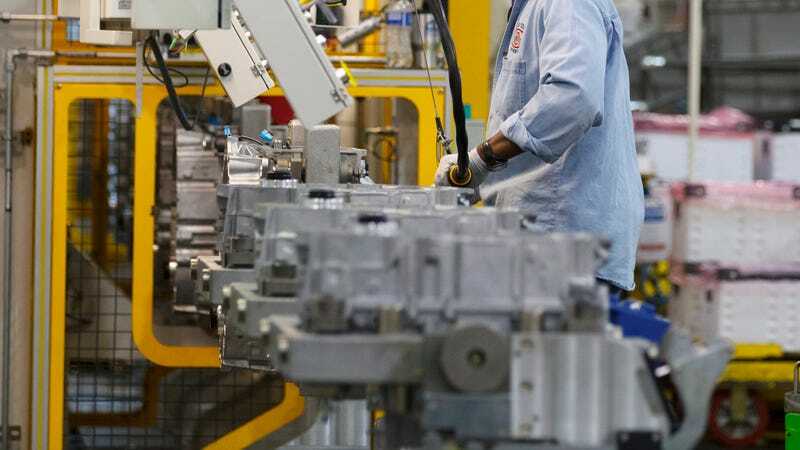 Last November, a suit filed in federal court alleged that General Motors failed to address workplace racism at its transmission plant in Toledo, Ohio. “Whites only” bathroom signs and nooses left hanging were just a few of the things black workers said they were subjected to. And it seems like the behavior hasn’t really let up. The latest incident was last week, when a toy monkey was displayed to taunt black co-workers, lawyers for current and former employees at the plant said. A GM spokesperson said that the company has taken disciplinary action and fired some employees, but declined to say how many. They also confirmed that GM and the police are investigating the acts and have even hired a handwriting expert. These fresh complaints come after a report from just earlier this month that accused GM of doing very little after racist slurs and threats were brought to light. Just don’t be a racist shithead! It’s not that hard! Have people tried... not... being racist?